The B-47 was the first all-jet production bomber in the Air Force and was the backbone of SAC's bomber fleet in the 1950s. The B-47 was classified as a medium bomber and was not intended for worldwide missions even though it could be refueled in flight. The Boeing B-47 Stratojet was considered a perfect match for requirements by American military strategic planners during the Korean War and Cold War periods. During the 1950s, the Strategic Air command formed 28 medium bomb wings along with a few RB-47E reconnaissance wings. A number of model changes occurred over the life of the B-47 with several variations emerging. But the RB-47E was the was the best of the B-47s. 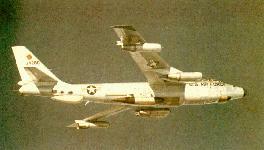 The B-47E was later modified to perform specific duties needed for photomapping and weather reconnaissance. This version became the RB-47K. 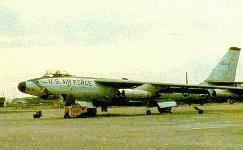 The last version of the B-47 was the ERB-47H model. As an electronic/reconnaissance version it was used to monitor enemy radio and radar stations and could detect their missions. These planes were based overseas and operated from friendly countries to fly reconnaissance missions off the coasts of Russia, North Korea, China and other areas. 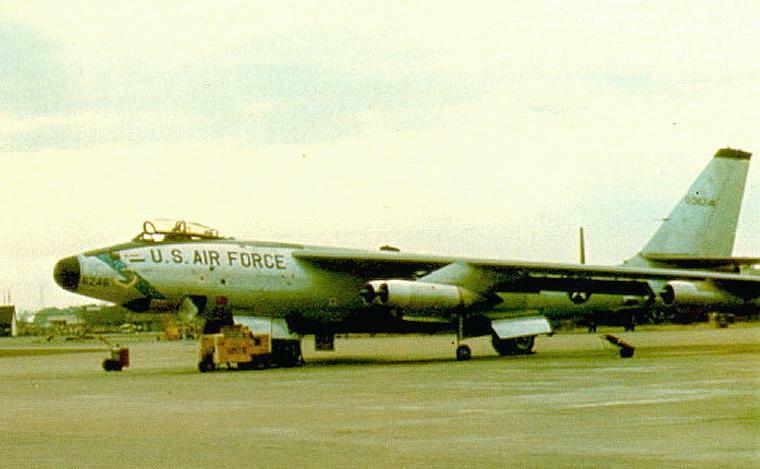 The reconnaissance version of the B-47 was the only plane which flew actual combat missions that the military may have found necessary to perform in case of nuclear war. They were used to constantly check weather along projected bombing routes, photograph enemy installations and monitor defensive radar systems. The reconnaissance models of the B-47 provided invaluable data for Strategic Air Command�s huge bomber fleet during the period 1954 to 1964. The secret to its success was versatility and the capability of the air frame to adapt to a number of varied missions while still maintaining excellent performance. Following its first flight of on July 3, 1953, the RB-47E went on to perform some of the most sensitive reconnaissance missions of the Cold War. During its service, at least two of these planes were lost flying missions over the Soviet Union. One incident, involving a RB-47E, occurred during a photographic mission over the Soviet Union. The plane was intercepted and fired upon by Soviet MiGs and sustained wing damage. Fortunately, it was able to outrun them at altitude and return to its base in the United Kingdom. However, on 01 July 1960 an RB-47H over the Barentz Sea was downed by Vasili Poliakov. John McKone, the navigator and Bruce Olmstead (the co-pilot?) survived. The pilot, Bill Palm was killed, as were the other three crewmembers, the ELINT operators. These models were eventually phased out and replaced with the U-2 and SR-71 spy planes. Powerplant: General Electric J-47-GE-25 turbojet engines; JATO (Jet Assisted Take-Off) using auxiliary rocket motors that are jettisoned after take-off.